Gaston's family. 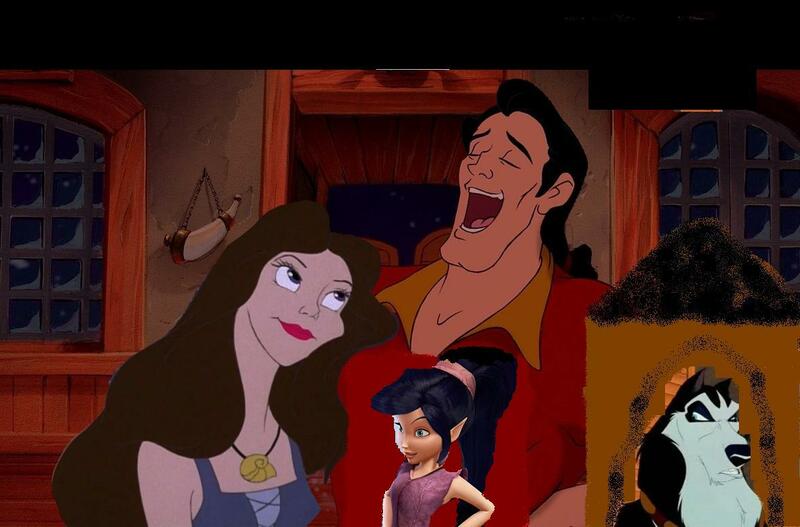 Gaston finally has his wife, a dog named Steel and a daughter " Vidia"- Thanks for the great already made Backdrop Chesire. I'm not very good at these yet.. HD Wallpaper and background images in the 迪士尼跨界（crossover） club tagged: gaston vanessa. I knew Vidia reminded me of someone! Haha! I know she is pretty mean sometimes. I also thought her eyes and hair looked like a combination of Vanessa and Gaston if they....you know.